Caledon Precision Engineering Ltd specialise in CNC machining of both high & low volume turned parts, ranging from CNC Machining of small diameters up to 700mm dia. X 3000mm long, CNC Vertical milling with a capacity of 1270mm x 762mm x 820 mm and CNC Horizontal Machining Centres with a capacity of 1000mm x 850 mm. We manufacture machined parts, e.g. 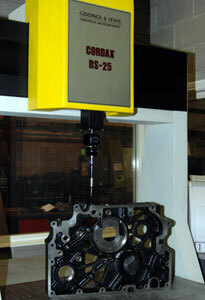 Screen shafts, Bearing Housings, Transmission housings, Pins, Bushes and fabrications. We also manufacture Conveyor End drums for the Quarry Plant and other industries. Our range includes Drive drums, Tail drums, Spiral drums and Slatted drums made to specification. Our welding and fabrication unit has Plasma/Profile Cutting, Folding, Horizontal bending, Plate/Ring rolling.